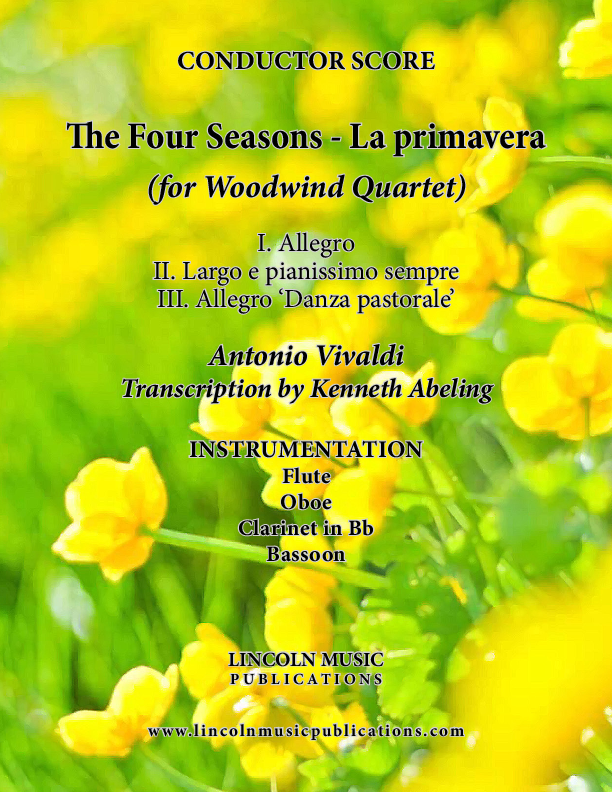 Perhaps one of Antonio Vivaldi’s most popular works, this is La primavera from The Four Seasons transcribed here for Woodwind Quartet. The movements of Concerto No. 1 (originally in E Maj), Op. 8, RV 269, “Spring” are: I. Allegro, II. Largo e pianissimo sempre and III. Allegro 'Danza pastorale'. This Transcription is suitable for Advanced Intermediate musicians.